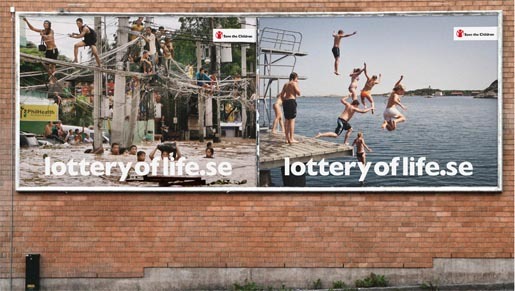 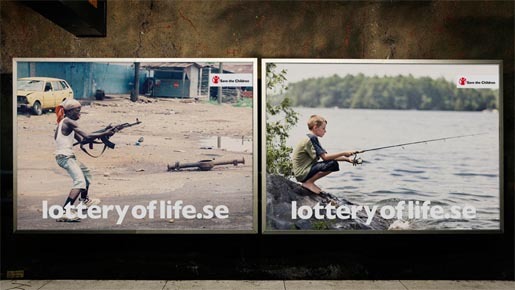 Save The Children Sweden (Rädda Barnen) ran The Lottery of Life, an integrated advertising campaign inviting people to imagine themselves in the shoes of people born elsewhere. 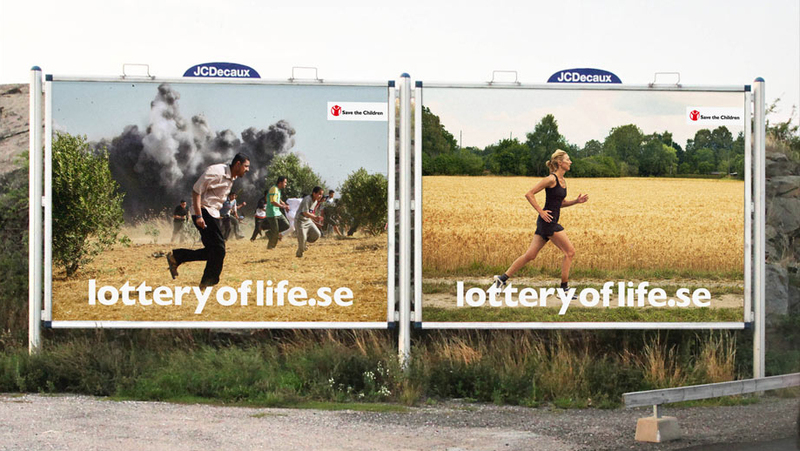 At the Lottery of Life web site your life ticket reveals what your life would have been like if you were born in a different part of the world, with information on the country’s challenges and opportunity to ask friends to contribute to Save The Children’s work. 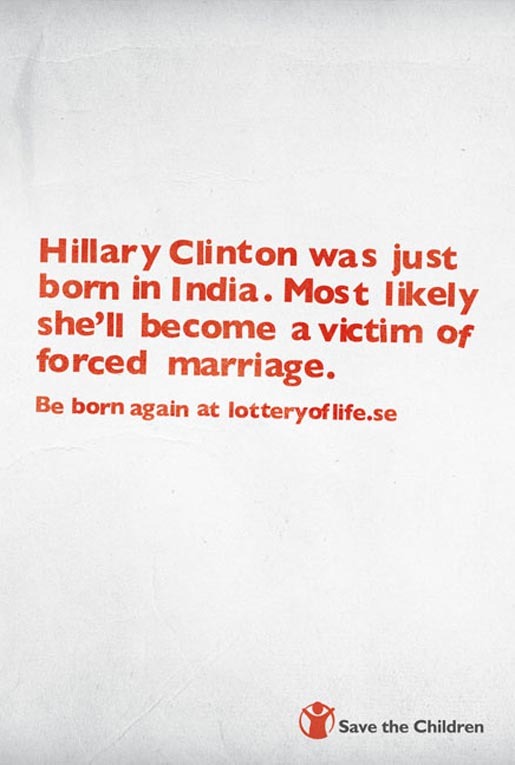 The campaign was launched in Sweden where the chances of being born in your own country are 0.08 percent. 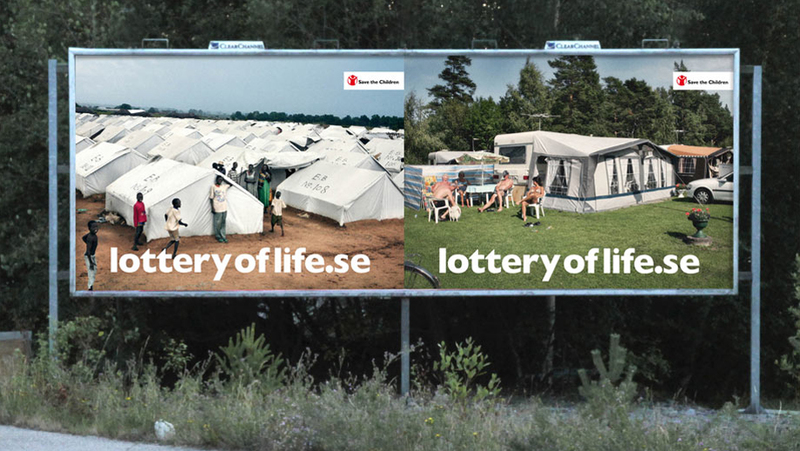 With over 250,000 hits and substantial media coverage in Sweden, the campaign was expanded to other countries and languages. 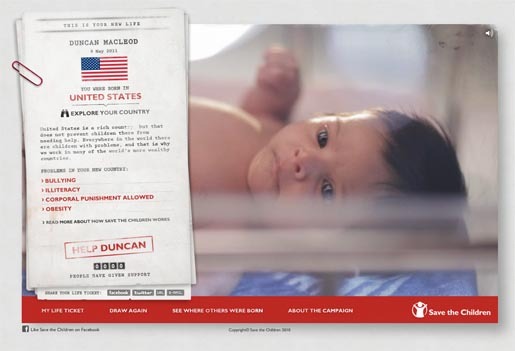 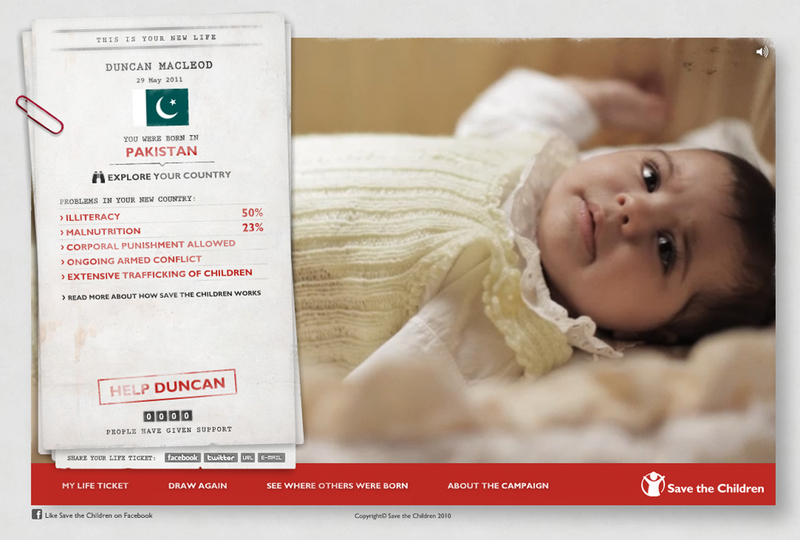 The campaign was supported with print and outdoor advertising highlighting the contrasts associated with place of birth. The campaign this month was presented with the UNDPI Gold Award by The UN Department of Public Information at the New York Festivals Awards. 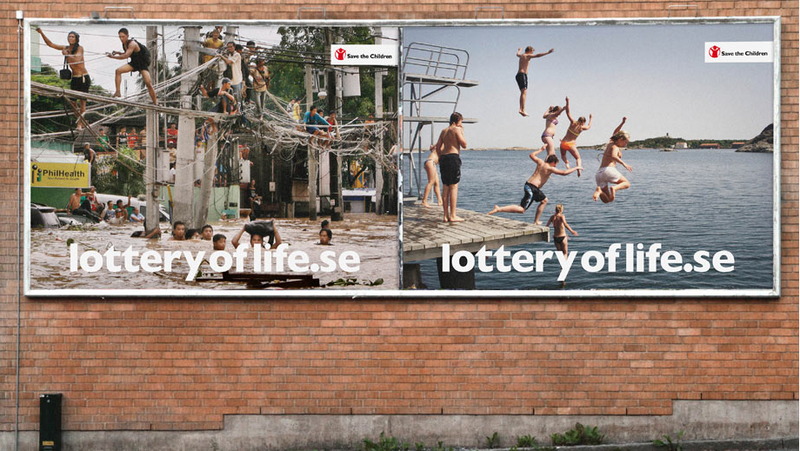 The Lottery of Life campaign was developed at Lowe Brindfors by art directors Pelle Lundqvist and Emmeli Österdahl, copywriters Stefan Pagreus and Aron Levander, account supervisors Malin Sävstam, Anna Laestadius and Johan Öhlin, account managers Anna Tanser and Wohlin, Kristin Enersen, planner Mehrnaz Bejne, digital producer Helena Wård, digital director Mårten Forslund, technical producer Tobias Löfgren, photographer Jon Hertov, director Johan Perjus at B-reel Films. 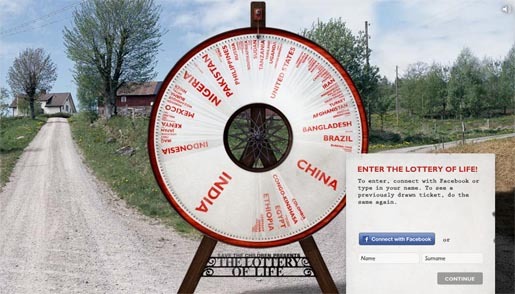 Backend work was done at Camelonta.